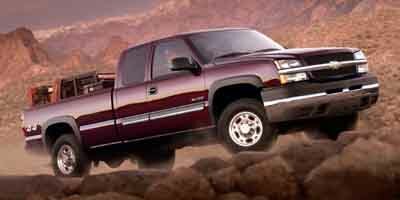 Back to Search Results >> Chroma Cars >> Chevrolet >> Used >> 2004 >> STOCK NO. Used 2004 Chevrolet Silverado 2500HD Ext Cab 143.5 WB 4WD STOCK NO. 155-point inspection on EVERY car Service inspections with every oil change Free complimentary coffee and doughnuts Free rental car for service lasting longer than 2 hours! DEALER CONTACT INFO: Call Chroma Cars today at 574-123-4567 TO SCHEDULE YOUR TEST DRIVE of this 2004 Chevrolet Silverado 2500HD Ext Cab 143.5" WB 4WD! Chroma Cars. You can also visit us at, 228 Waterfall Drive, Suite B Elkhart IN, 46516 to check it out in person!